How Do You Buy Certified Gold Coins? HomeCertified Gold CoinsHow Do You Buy Certified Gold Coins? Large-volume exchanges regularly facilitate transactions for financial institutions like insurance companies, large corporations, and banks, as well as for resourceful household investors like you. 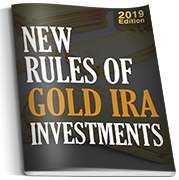 Investors are advised to search the web for the right gold exchange to facilitate their individual, long-term needs, since worthwhile precious metals exchanges do not rely on flashy T.V., or print ads to promote their certified numismatic rarities. Ideally, investors should search for precious metals exchanges that offer institutional discounts on their certified coinage, and should only purchase rare coins that have been officially certified by either the PCGS (Professional Coin Grading Service), or the NGC (Numismatic Guaranty Corporation). 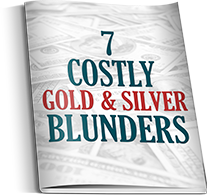 Any other numismatic certification will typically receive secondary consideration from gold traders when the time comes to liquidate, and PCGS, and NGC-certified coins are liquid in over 120 countries worldwide. Once prospective buyers have completed their research, they are encouraged to contact one of our friendly specialists, who offer large-volume-type discounts on certified rare coins to financially savvy household investors like you.